The almost setting sun gives a distinctive light to these fields near Charity Farm. In the background is the River Orwell. 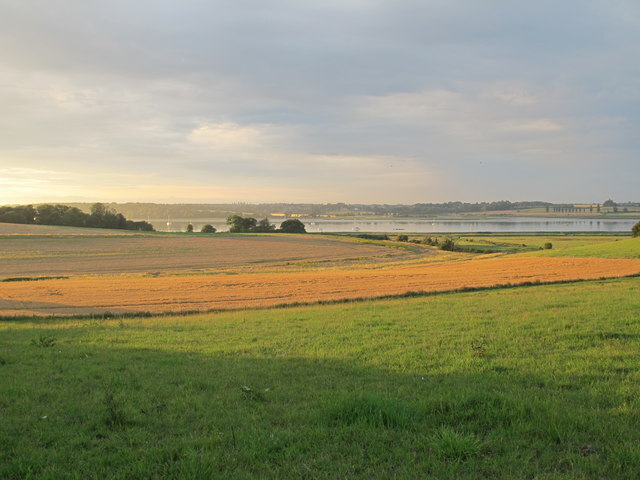 Shotley is a village and civil parish in Babergh, Suffolk, England. In 2011 it had a population of 2342 Link . Shotley parish includes the larger settlement of Shotley Gate and Church End (apparently the original village before the plague) and Below Church.